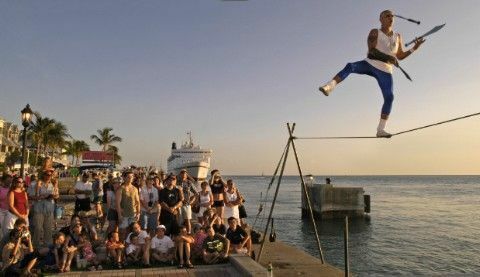 There’s no place in America quite like Key West, one of the most laid-back towns your family will ever visit. Its low-key attractions are certainly worth a few nights’ stay, and we recommend you drive there from Miami, about 3.5-hours north by car. The route is gorgeous (just imagine filming Arnold Scwarzneggers’ “True Lies” along this waterfront route) and besides, your family will need a car to sightsee beyond the town center. 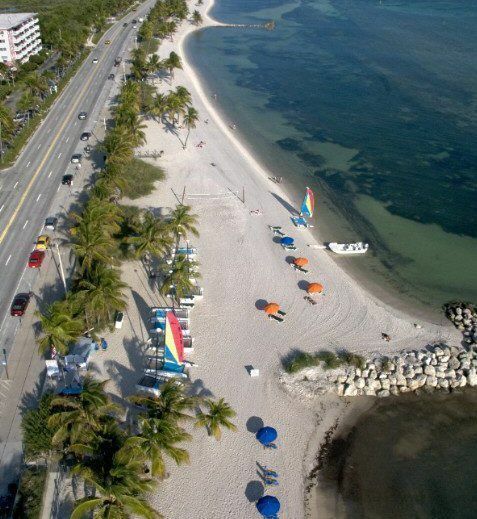 For more information on attractions and upcoming festivals (The Keys love to party! 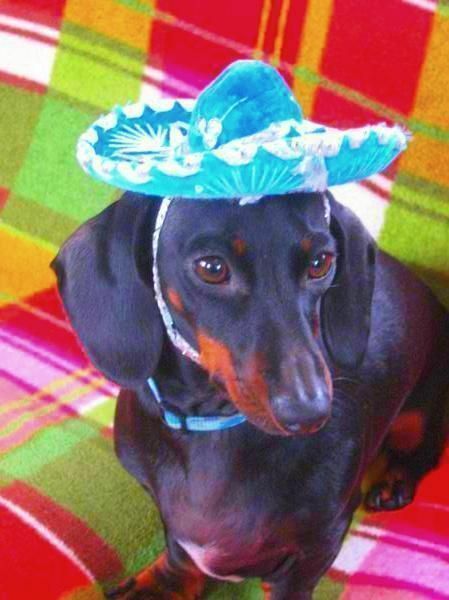 ), contact The Florida Keys and Key West Tourist Development Council (800/648-5510, 305/296-1552). 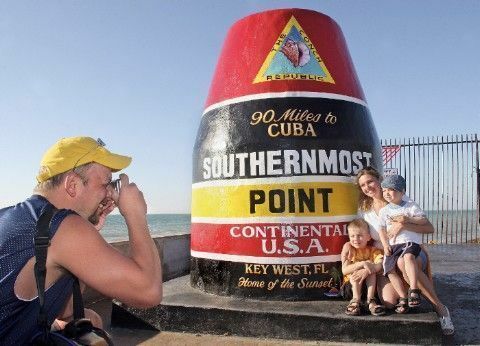 With a choice of small guest houses, cheap B&Bs and a variety of mid-priced to posh resorts, here’s FTF’s guide to the best base for your family’s stay in Key West. 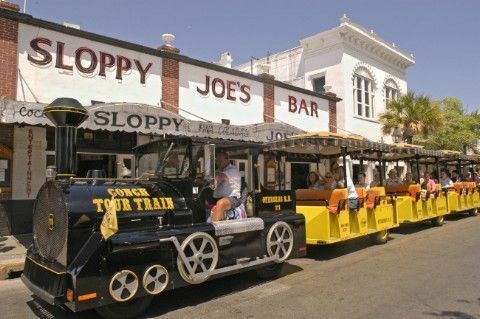 Looking for a touch of class in funky Key West? Check out the chic Beachside Resort, located only 3 miles from Duval Street and the heart of downtown Key West, featuring a private beach directly on the Gulf of Mexico. The elegant accommodations have upscale amenities including gourmet kitchens with granite counters, stainless built-in appliances and washer/dryers. Marble floors throughout lead you to the bedroom featuring Frette linens and marble Jacuzzi tub in the spacious bathroom. Accommodations feature LCD flat screen televisions in the living room and bedroom, high-speed Internet access, and balconies overlooking the Gulf of Mexico. Families will appreciate the space to spread out and the chance to “eat-in,” although a fine dining restaurant (under the management of an award-winning chef) and room-service provide other options. Kids are more than welcome and activities such as Beach Olympics can be provided on an as-needed basis. After soaking in the sun and sand, contact the concierge to arrange for a 10-minute free shuttle to downtown to visit shops and galleries as well as historical landmarks, and to enjoy the nightly sunset celebration at Mallory Square, all topped off by a slice of Key Lime pie. Located directly on Sunset Pier, home of the the nightly Sunset Celebration at Mallory Square, this resort provides scheduled family and supervised children’s activities (organized on a seasonal basis), an outdoor heated pool, planned beach activities, and the style and service you expect from Westin. Another very fancy, exclusive choice is the gorgeous development on Sunset Key, a collection of private villas on a pedestrian-only island within sight of Mallory Square, and managed by the mainland Westin Key West Resort & Marina. 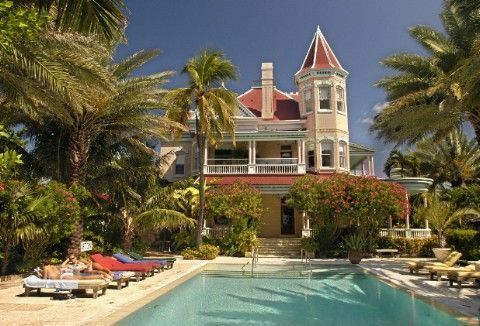 The historic Casa Marina is a recently re-styled 1920’s-era hotel located on a manicured Atlantic beach. Listed in the National Register of Historic Places, this landmark hotel is close to all the attractions of historic Old Town and Duval Street and a short walk to Southernmost Point USA. Amenities include two outdoor pools, a full-service massage studio, an oceanfront restaurant along 1,100 feet of beach, and lots of water activities for families to enjoy. After a $44 million renovation, the Casa Marina and its smaller, sister property, The Reach Resort, have been rebranded as part of the Hilton’s ultra-luxe Waldorf-Astoria collection. This comfortable Sheraton is a 10-minute ride from Old Town, and right across the road from Smathers Beach, Key West’s nicest sand beach area. At this all-suite hotel, one-bedrooms are quite spacious and offer a coffeemakers, minibars and Jacuzzi tubs tucked into the attractively modern decor. Services include free delivery of the morning paper, a good, healthy buffet at breakfast, and kids’ menus and prices. There is a pricey lobby snack shop, but also well-priced conveniences like a guest laundromat, bicycle rentals and a free shuttle to Old Town or the airport. Babysitting is available through the Concierge Desk with one day’s notice. We found the staff everywhere to be gracious and efficient. The Sheraton’s biggest plus may be the heated pool, a lagoon-style affair with a grotto and waterfall the kids can walk through. Just one block off busy Duval Street but a world away in atmosphere, this pleasant “downtown” Key West guest house has a small pool, lush topical plants, and winding paths that connect its rooms, suites and cottages. The four roomy cottages are the best bet for families as most of them can sleep up to six people and come with either full kitchens or efficiency kitchesn. Suites are comfortable, and overlook the palm garden or the courtyard. They feature sundecks or porches and small refrigerators. The Avalon’s rooms are spacious, nicely decorated without being too frilly, and many have two queen beds. One free-standing cottage, in back next to the small swimming pool, has a king bed and a sofa, as well as minifridge. All rooms feature ceiling fans, A/C, a phone, variety of menus for local restaurants, large bathrooms with tubs, access to a pleasant shaded front porch or upstairs balcony, and a hearty continental breakfast with cold cereals and fruits. Owners Yvonne and Doug are on hand during the day to help you plan local activities. This assocation serves dozens of inns and B&Bs in Key West and their very informative website will give you a snapshot of the current membership. Additionally, they are partnered with a terrific reservations service called Inn Touch In Key West (877/526-7775) that will send your request for rooms (with dates, number of people, price range) to all their members and ask them to email you back with their availability. There’s no fee involved, and all their members are inspected by the association, so it’s a great way to cut through the hundreds of Key West online listings and find something that meets your needs.